CAMBRIDGE, Mass. – October 22, 2013 – Sedo , the world’s largest domain marketplace and monetization provider, today announced a strategic partnership with DotAsia, the organization charged with running the .Asia top-level domain (TLD) and RightOfTheDot.com, a leading domain industry consultancy, to auction a series of rare and never-before-released domain names. 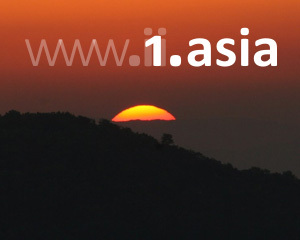 Through these auctions, approximately 1,300 one and two character domain names such as 8.asia, 28.asia, and X.asia will be offered to the public for the first time. "With the imminent launch of new domains joining extensions like .Com, .Net and .Org, interest in alternative extensions is on the rise, which is something that data from our marketplace has clearly shown," said Sedo’s CEO, Tobias Flaitz. "It makes perfect sense that companies, individuals and domain investors alike would want to acquire domains that identify them with the fastest growing Internet marketplace in the world, and we’re excited that DotAsia selected Sedo to help bring some of their best domains to market." For more information on the pending auctions, visit www.sedo.com/asia .